hello! i just found your legend of localization site after searching for the infamous “war of kangaroo” mistranslation on google! 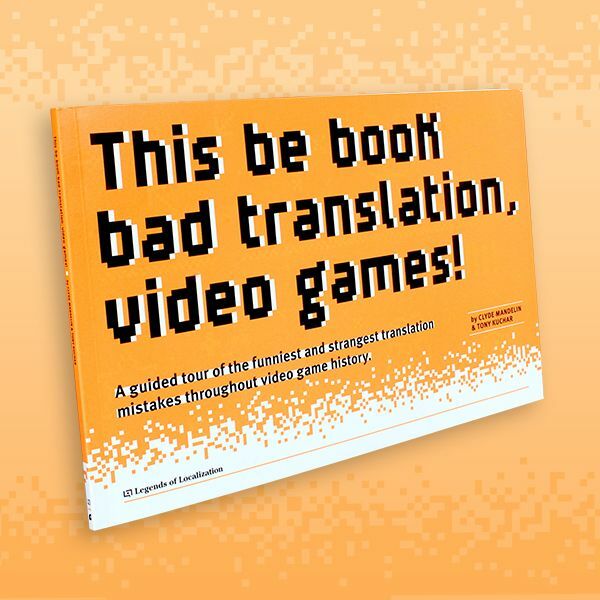 most amusingly the game had a lot of non-sensical translation, the most infamous one being that when you failed to identify an item the game exclaimed “YOU TOUCHED IT!” any idea how this could have happened? I’ve never played this game, but it actually looks really cool! For reference, this happens after a bishop character tries to identify an item but fails. When this happens, the character falls into a panic-like state that has to be healed before further item identification can be done. When this identification fails, the Japanese text says “さわってしまった!” which comes from the verb さわる (sawaru). This word has a few different meanings – the main one is “to touch/feel”, but another is “to become irritated”. So my initial instinct was that the translator didn’t have any context information and decided to go with the safer “to touch” meaning when the latter might’ve been more appropriate. But digging a little deeper, it seems that this line might actually be an homage to the Famicom Wizardry games , which I hear had a strong cult following in Japan back in the day. Those all fit the bill perfectly! So, assuming this Wizardry connection is indeed true, then the line in Elminage , “YOU TOUCHED IT!” might not be a mistranslation at all – it seems to be a reference to the old Wizardry games. One that might’ve even survived being translated back and forth over the years, wow! Still, that’s a lot of guesswork on my part, so if anyone out there can provide any further info or insight, or if you can get an English or Japanese screenshot of the Wizardry line, please let me know on Twitter or post in the comments below! If you enjoyed this post and know anyone else who likes Elminage or Wizardry, I hope you'll tell them about it. Thanks for your help! Japanese games are full of pop culture references - you just have to know where to look. Is this Japanese restaurant really trying to cook religious believers? Or is it a mistranslation of some sort? It’s not so obscure now that Ghostlight announced they were porting+translating another game in the series. Hopefully it has a better translation. I had heard about the English release of Elminage Original courtesy of RPGFan. The reviewer quoted the game for having an, “Abominable hackjob of a translation.” There are apparently also cases of entirely untranslated Japanese. Whoever UFO Interactive Games are, they obviously don’t know how important it is to translate games properly. And for the sake of curiosity I looked up the company’s name. They deal mostly with children’s games. That would explain the substandard quality of the translation. In other words, they didn’t have a clue what they were doing. Weirdly, I’ve seen them do other translations which were perfectly fine, and even really good. They translated one of the DS versions of the Monster Rancher games, and although it does have some bugs not present in the original (mainly, there’s a part where it recognizes characters you draw on the touchscreen, but it will sometimes still try to recognize Japanese characters and freeze), but the text itself is really punchy and well-done. Far better than the other translations in the series, which are usually meh at best and horribly confusing at worst. Maybe they had better translators on the team then. I watched a lot of Wizardry let’s plays on nicovideo so yeah, I can confirm that the Japanese versions of Wizardry use “さわってしまった” for identify failures. Granted, the SNES version was actually made by the Japanese so I don’t know if the SNES English version is a ‘back translation’ of the Japanese version or if it uses the original script of the PC version. It’s possible the PC versions of Wizardry use something else since I never played those, but I’m willing to bet that they all say touch though. Cool, thanks for the confirmation! It’s been many years since I played Wizardry I (on the Apple //c) far enough in to have a chance to try to identify something that might be cursed, but if memory serves, this same “YOU TOUCHED IT!” wording was used all the way back then as well. If not the same wording, it was at least something to the same effect. Not entirely related, but I have to wonder if the goofiness of that line is intentional. Wizardry does have some weird stuff, even though it doesn’t always cross over into the eastern games. Aha, so it IS a Wizardry reference (well, probably). After I read the ‘You touched it!’ line and thought about it for a minute, I remembered something like that being in Wizardry. Been a really really long time since I played it (well, in that case I was young as to watch my DAD play it), I can’t believe it even sounded familiar. I definitely remember the “You touched it!” line from Wizardry V, on SNES at least. If you think about it, it *does* kinda make sense. I imagine item identification requires some some of proximity hand waving or whatever, close to the object in question. An accidental nudge of the finger or whatever. The *afraid* status could be that they touched this potentially cursed item and now are afraid they’re cursed. And I can’t remember if Wizardry had the other thing with cursed items that old games had, where if you equipped one, it was stuck. No taking that thing off until you paid a priest to remove it. Yes, Wizardry did have the “sticky curse” effect – at least Wizardry I did, and I believe it held over through the entire series. A bit late to reply again, but I dug up an old Wizardry manual. And that’s all from the original manuals. Completely intended, though it comes off as a bit wacky nowadays to people.